For the trip – mom and I were absolutely smitten with about 1000 ideas from the DISboards for planning, and crafts, and all sorts of fun extras. Sadly, many had to fall by the wayside. 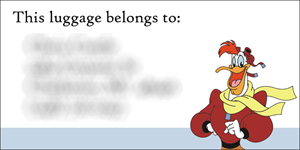 Some I got halfway done… All source images ©Disney where applicable. Penny tubes – I DID get a mini m&m tube for keeping my clean pennies and quarters for the machines. This was a GREAT tip. It was always handy, and made it a lot more fun to stop at every machine. I didn’t however manage to get a custom label printed out for it. Vintage pennies – I read to make sure to collect all pre-1980 pennies as these had the most copper and press better. We had seen before when using presses that randomly they would have a smeared look to them. I never considered it was the mix of metals being used in current pennies that was causing this. I can attest that the older pennies are gorgeous out of the press! Clean penny tip – Use ketchup. This worked perfect, and I only managed to get to it last minute. Just as we headed out the door, I snatched a ziplock bag, the collection of pennies I’d set aside, and covered them in Muer Glen organic ketchup. Since it’s an organic mix, I figured the acidity would be a bit higher from the greater tomato concentration. After an hour of sitting in the bag while we drove to drop off the car, I gave them a rinse and whoo-weee, they were CLEAN! A quick baking soda paste buff to get some shine, and I had the best pennies ever for Disney. Luggage tags – this was partly for fun, and partly for necessity. There was a great deal on carry-on sized luggage and both my parents and we all got the same make, model, and color of luggage. To have an easy way to identify them, and have a fun Disney themed accessory, I made up luggage tags. I looked up what the average size tag was, then in photoshop put together 4 different tags. 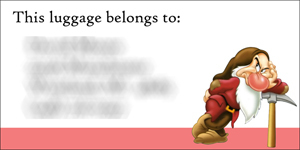 Each had a chosen Disney character to represent us, along with contact info. 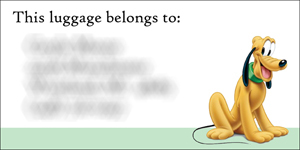 An autograph book: There are seriously some adorable templates/ideas on the boards for this. Sadly, I forgot about putting it together and ended up buying one at the first park. Passport: I actually didn’t remember this until I saw someone getting a stamp in Germany… doh! 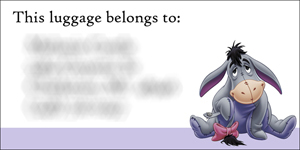 “Mousekeeping” envelopes: This I was going to make for mom, as really, I don’t tip housekeeping (and doubt it’s expected) anywhere else I stay for one thing. For another, I never GET housekeeping anywhere either. I’d much rather just grab some extra towels mid-week as needed. I don’t need my bed made for me, nor want other people touching my stuff. I bring all my essentials such as shampoo so… no point. >.< Just how I am. 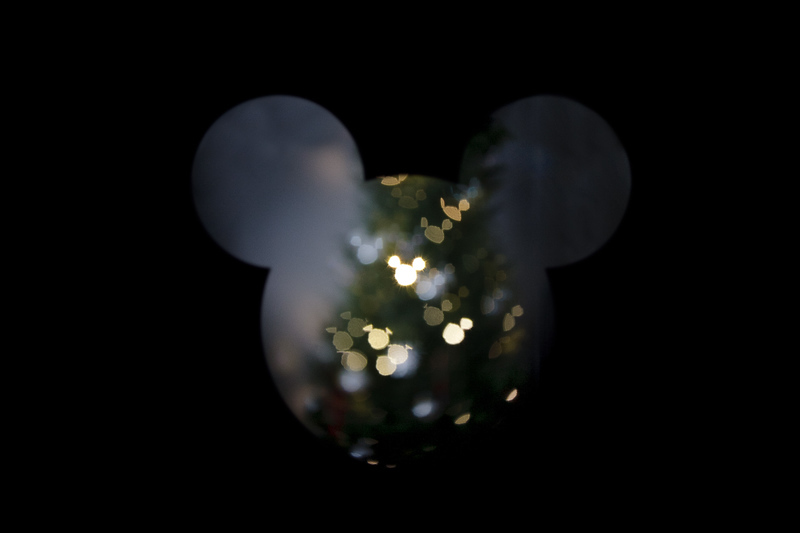 Mouse bokeh kit: Ok quick explanation – the cool blurred out orbs of light you see in the background of some photos is referred to as bokeh. There are ways to make that light conform to a shape by adding a cutout to your camera lens. So what I tried to do is make one in the shape of Mickey’s head but kind of put it a little too last minute and I didn’t have something durable to use in the parks.